Zionist Union MKs criticize meeting of Likud Central Committee where vote will take place on applying sovereignty in Judea and Samaria. The Left continues to protest against the planned convention of the Likud Central Committee on Sunday, during which members of the committee will vote on a draft resolution for Israeli sovereignty in Judea, Samaria and the Jordan Valley. 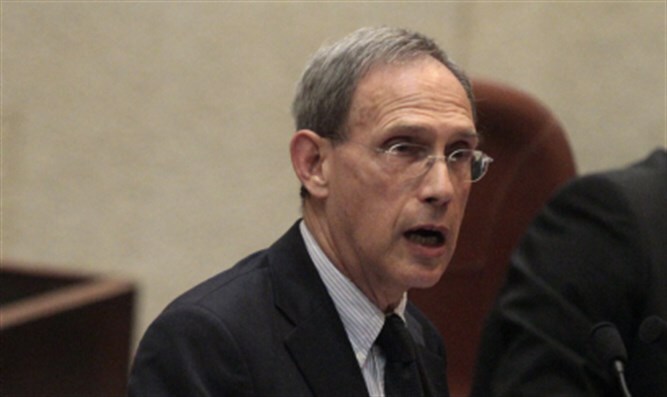 MK Dr. Nachman Shai (Zionist Union), a member of the Foreign Affairs and Defense Committee, told Arutz Sheva, "I strongly oppose the idea of ​​annexation. The application of Israeli sovereignty in the territories of Judea, Samaria and the Jordan Valley will put an end to any chance for a future political settlement between us and the Palestinians and will determine the fate of Israel as one state for two peoples. " "This action will lead to a severe international response and will again bring upon Israel condemnation and isolation," he said. MK Eyal Ben Reuven (Zionist Union) claimed that "such a decision means one state between the Jordan River and the sea. This means control by force over millions of Palestinians, or losing the Jewish majority. Therefore, this is not an option. " "There are other methods of action: Separation from the Palestinian people while preserving the settlement blocs and creating safe borders is one. The Jordan Valley should be under Israeli control, and as for the rest of the territory, it should be left to negotiations," Ben Reuven said. On Sunday, the Likud Central Committee convene to vote on a draft resolution for Israeli sovereignty in Judea, Samaria and the Jordan Valley. The historic conference was called for the first time since the 2005 Gaza Disengagement plan, and followed the enlistment of more than 900 signatures of members of the Central Committee. They will vote on a resolution calling on all elected Likud members to act to impose Israeli sovereignty and law in all areas of settlement in Judea and Samaria.